The ©Growing Deep and Strong Series has been designed that almost anyone with proven management or leadership skills in any other field could coach new or maturing Christians. The Disciples manuals have been created that organically grows a new Christian from baby steps to a mature small group leader. 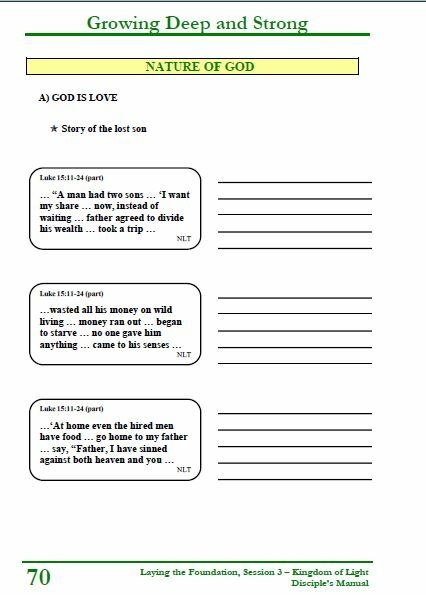 It has designed in an easy to follow format right down to page numbering the relevant Bible verses on each topic. The only requirement for a disciple is that they can read and have a willingness to learn about how to live life according to Gods Word. 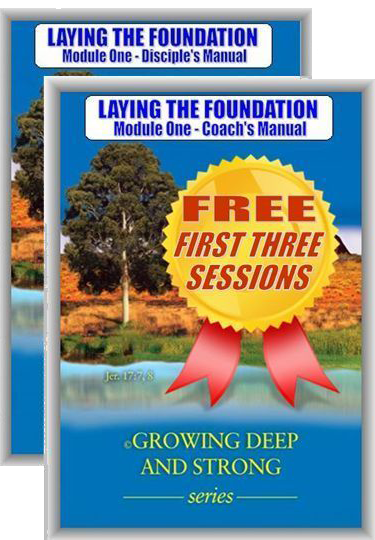 PLEASE NOTE: The ©Growing Deep and Strong Series can only be used with this Bible and must be purchased separately. We recommend that you have from 3 to a maximum of 5 disciples per coach. This way you will get maximum input into disciple. The variation from 3 to 5 is based on how confident the coach is and their leaderships skills. 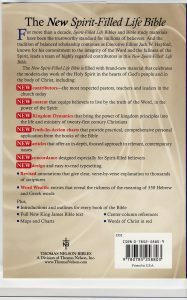 Each session is presented in three different formats, allowing for every disciple to receive each session in the manner that best suits their learning process. 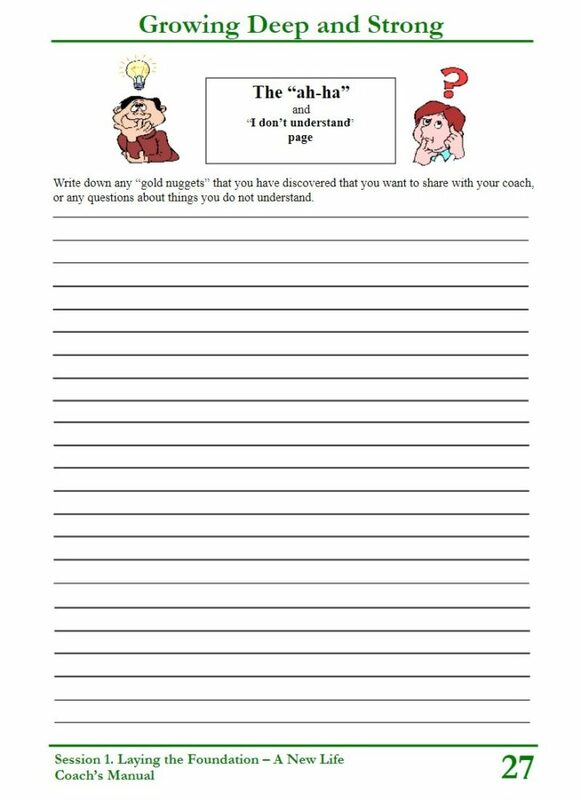 The first is a verbal presentation with opportunity to take notes for those who receive information by hearing. In the second, the disciple reads the same material in the Personal Discovery section, and completes the fill-ins in their own time. The last is by group review and discussion in the following session so that people can process the topic through discussion. We have found that the most successful meetings have been when we came together as a group and followed the session format as listed below. Everyone meet for a meal prior to the teachings and studies. 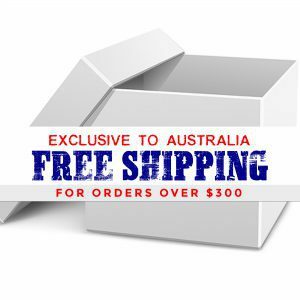 This has helped the disciples tremendously to develop friendships in a natural relaxed environment. Recommended duration: 45-60 minutes. 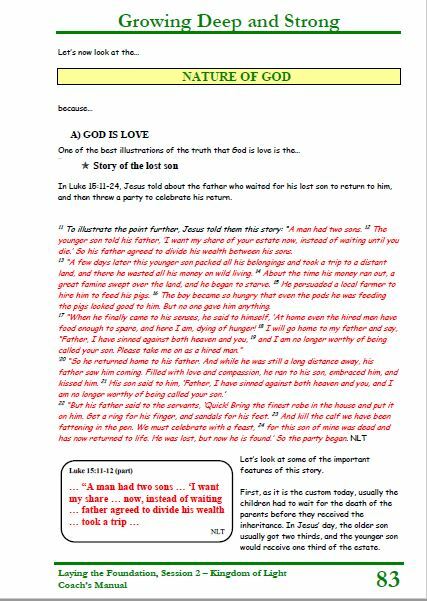 This is designed as group discussion to ensure that the disciple understands the topic they heard and studied. 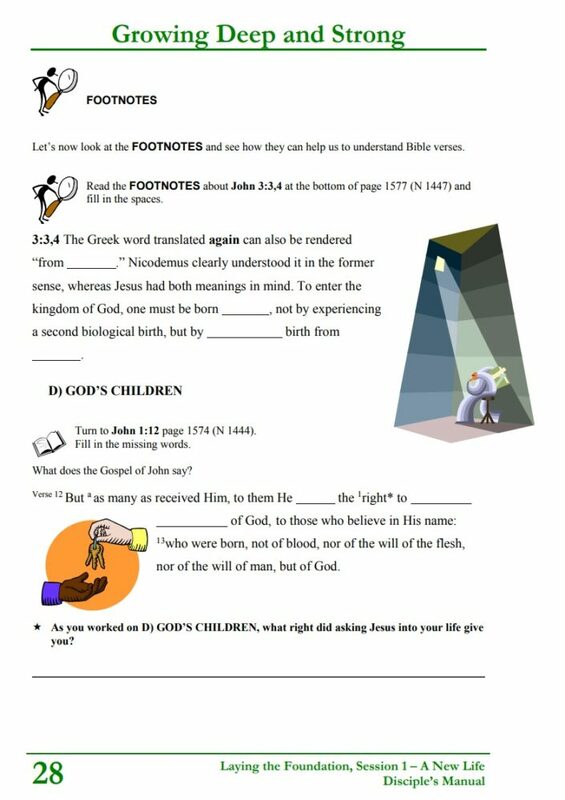 At the conclusion of each session in both manuals there is a set of questions that can be used as discussion topics. Plus, there is what we call the “ah-ha” and “I don’t understand” page. 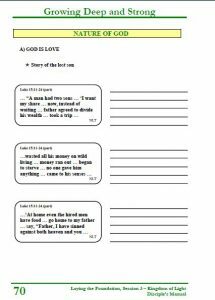 We recommend that the disciples are encouraged to write down any insights or questions that they have. 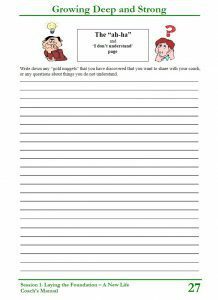 This page can be of great benefit in fostering lively and animated discussions. Recommended duration, 25-30 minutes. 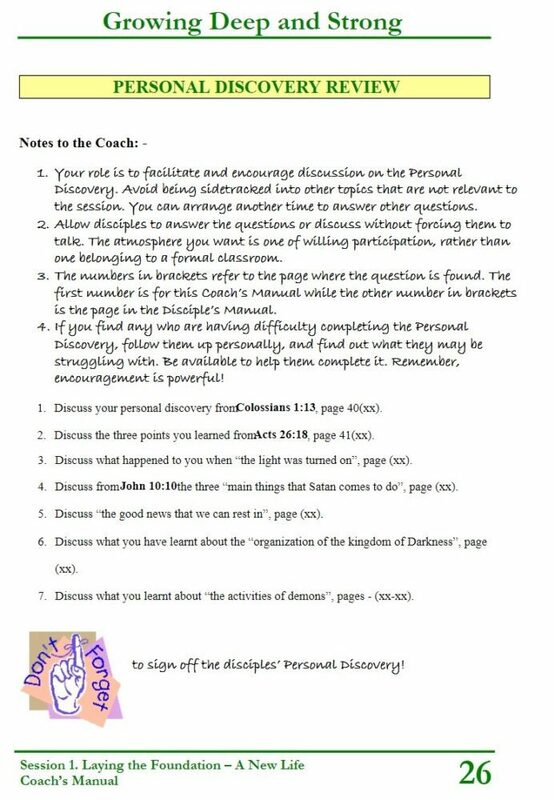 The coach signs off the disciple’s Personal Discovery section to confirm completion. 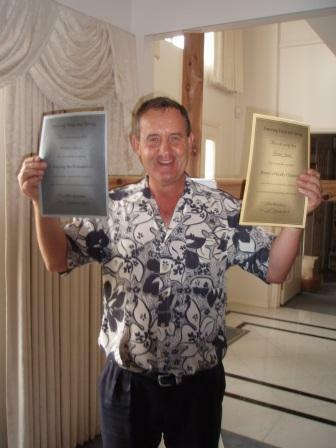 At the conclusion of each module the disciple who has completed each session of the module receives a Certificate of recognition signed by their coach. Creates a burning desire to receive a certificate of recognition. The Coach or group presenter presents the next session’s topic from the Coach’s Manual. 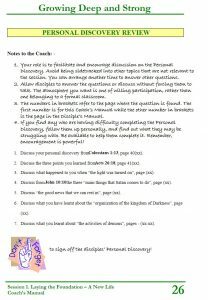 This has been designed in a manner that is easy to listen to and follow.The Coach’s Manual provides the complete script for teaching the topic. This is not a discussion time but a presentation of the next topic. Recommended duration: 25-30 minutes. Disciples will be required at their own pace to discover personally the topic presented to them. 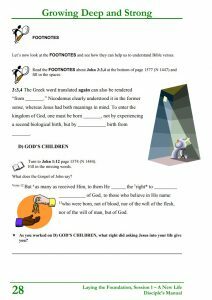 This is done in an easy to follow format by filling in missing words from Bible verses and the other study notes in the NKJV New Spirit Filled Life Bible. Expected duration: approximately 50-90 minutes per session. We recommend that the disciples spread the study over a period of time, such as 10-15 minutes each day before the next session. There are two manuals, one for the students whom we call disciples and one for the instructors, or the coaches, as we call them. 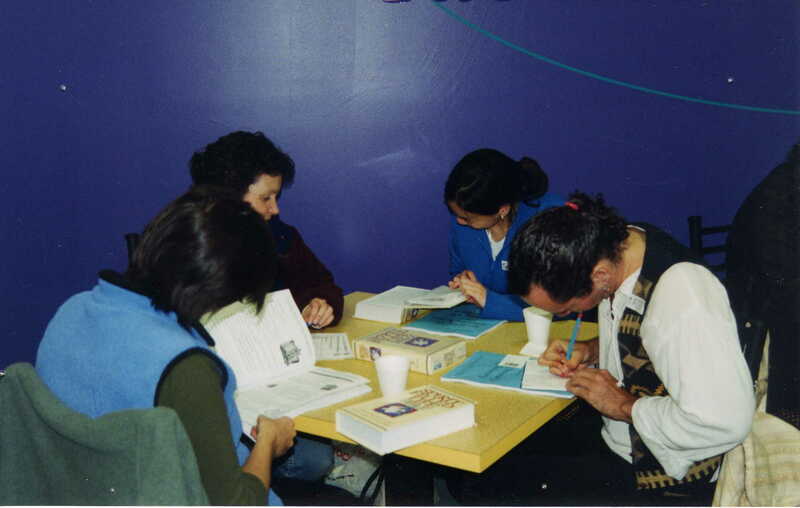 The Coach’s Manual has the complete script for each session’s verbal presentation, all the answers to questions in Personal Discovery filled in, and at the conclusion of each session, a group of suggested questions for review and group discussion. 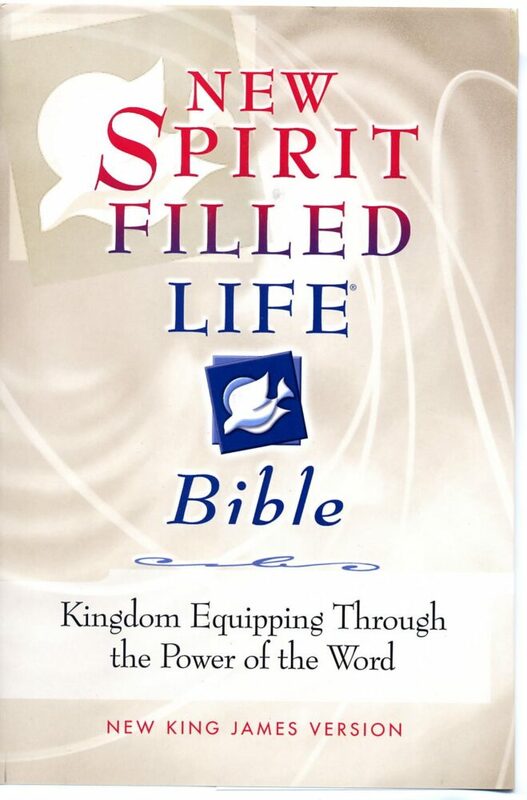 The Bible used for the Personal Discovery section is the Spirit Filled Life Bible NKJV, General Editor Dr Jack Hayford, published by Thomas Nelson. 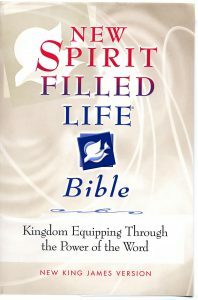 PLEASE NOTE: The Growing Deep and Strong Series can only be done with this Bible. Most new believers are most likely unchurched and have never owned or read the Bible and will need to buy a Bible. 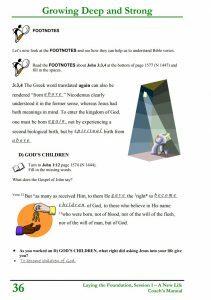 To help them navigate the Bible we have page numbered every Bible reference that we want them to look up. A team of over 50 executive scholars, pastor-teachers, writers and editors from more than twenty denominations and independent fellowships banded together to produce a study Bible integrating the Pentecostal-Charismatic viewpoint. 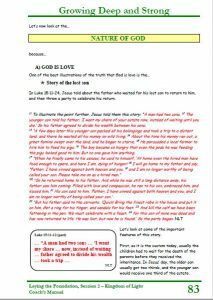 We use and refer the disciple to many of the Study Notes to help them understand the topic and Scriptures used in each teaching session. 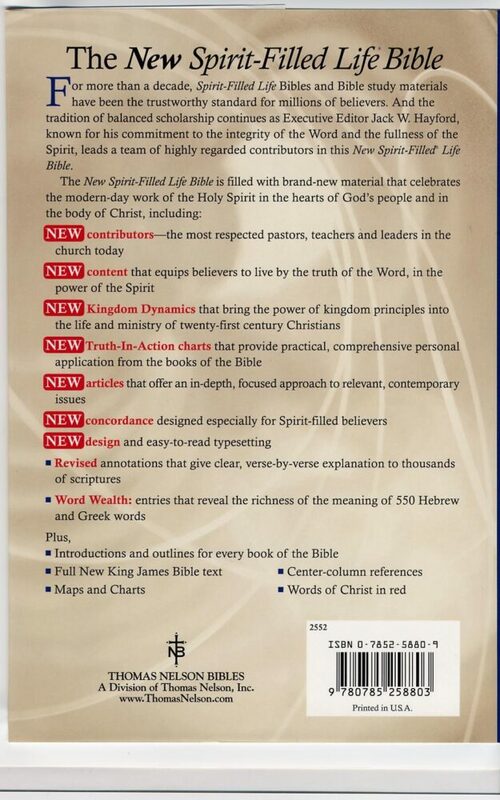 The Bible verses used in the session presentation are from the New Living Translation from Tyndale House Publishers. The reason for this is that this particular Bible is easy to listen to. 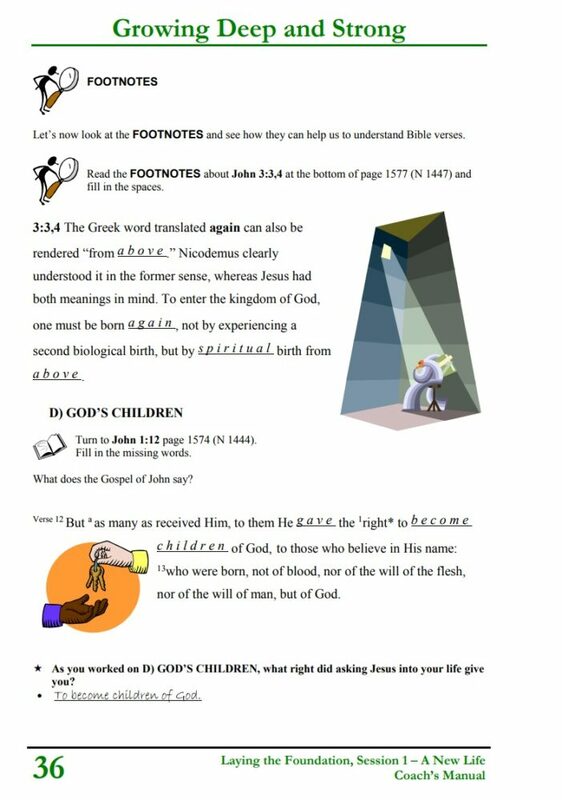 All Scripture references and references to other Bible notes in the Personal Discovery section are page numbered, making it simpler for new believers to navigate their way around the Bible. Personal Discovery Review. Discuss the previous session. 25-30 minutes. Personal Discovery Session. This is when the Holy Spirit will minister to the individuals as they study the topic you have just presented. 50-90 minutes. As you diligently follow the guidelines we have recommended, you will find your disciples grow and mature quickly.